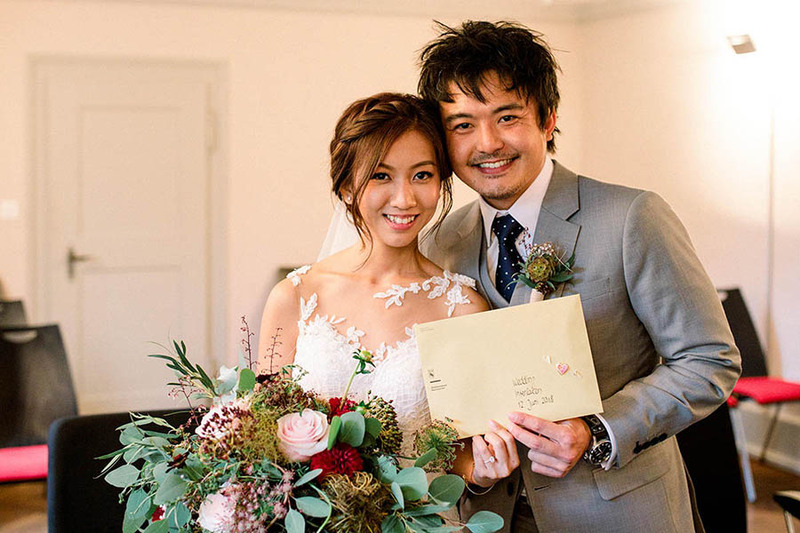 Before scooting off to Switzerland to be officially wed, Nathanael and Gracie celebrated their union by throwing an intimate lunch reception with family, relatives and friends in Singapore, which was planned to perfection by The Wedding Concepteur. 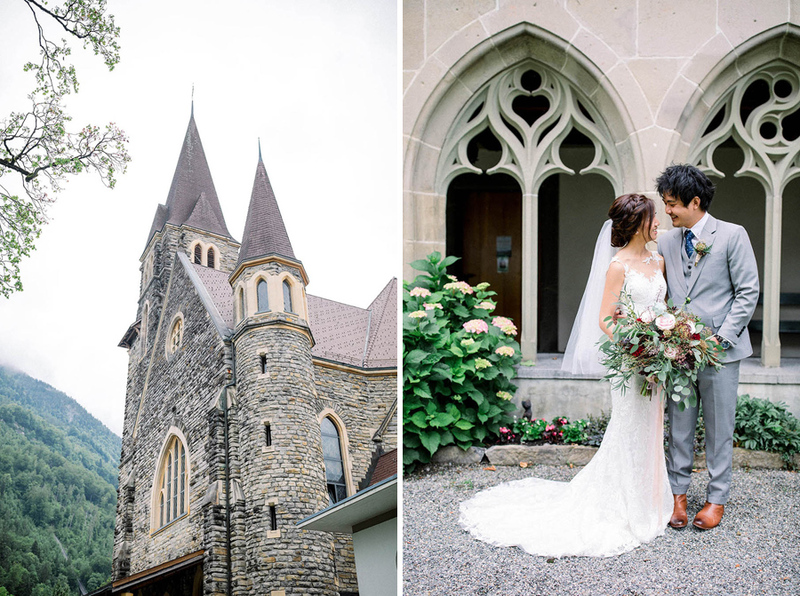 After arriving in Switzerland, the couple held a civil marriage ceremony in Schloss, a historic monastery and castle in the resort town of Interlaken. 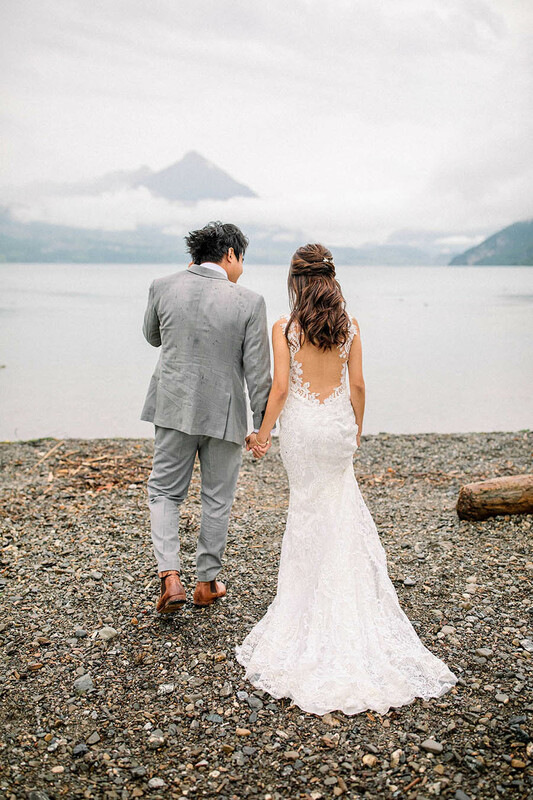 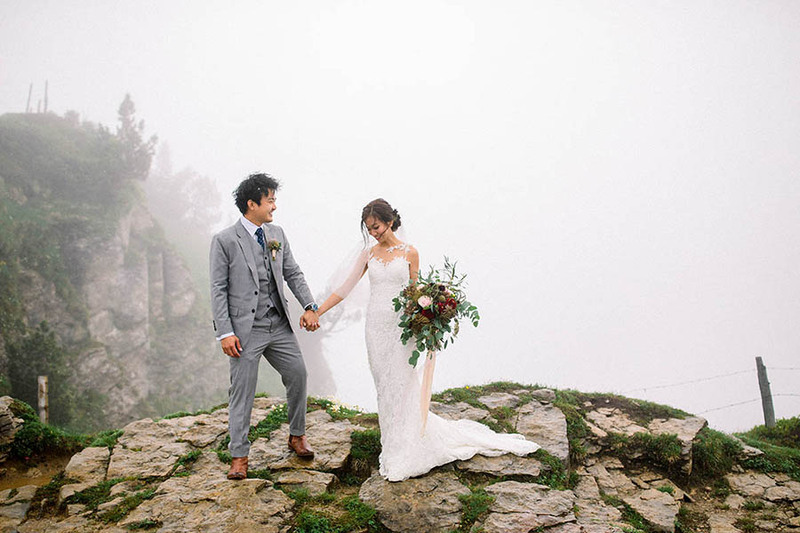 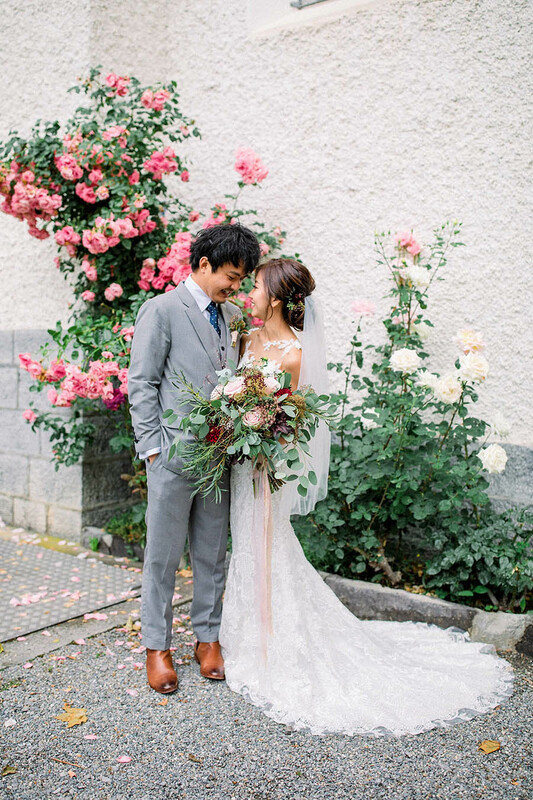 Their symbolic marriage ceremony took place afterward in the picturesque surrounds of Niederhorn, which served as a stunning backdrop for their elopement photoshoot with Switzerland-based David & Kathrin Photography & Film. 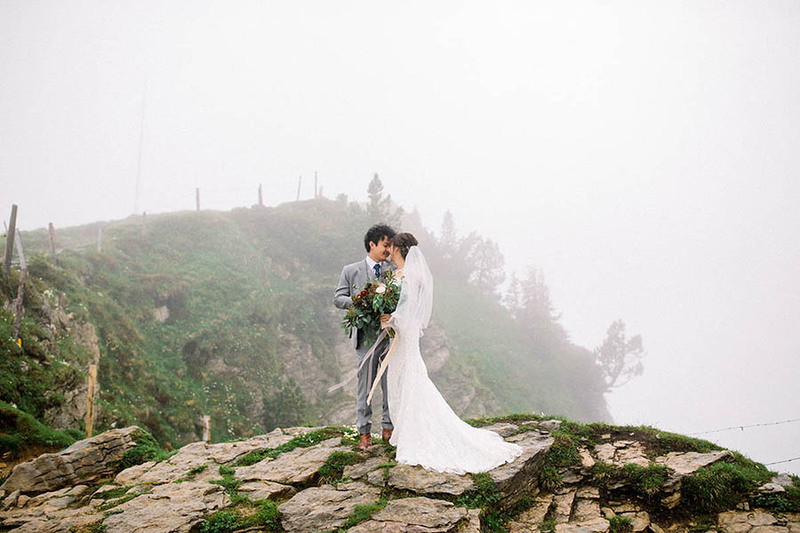 Please tell us more about your elopement in Switzerland. 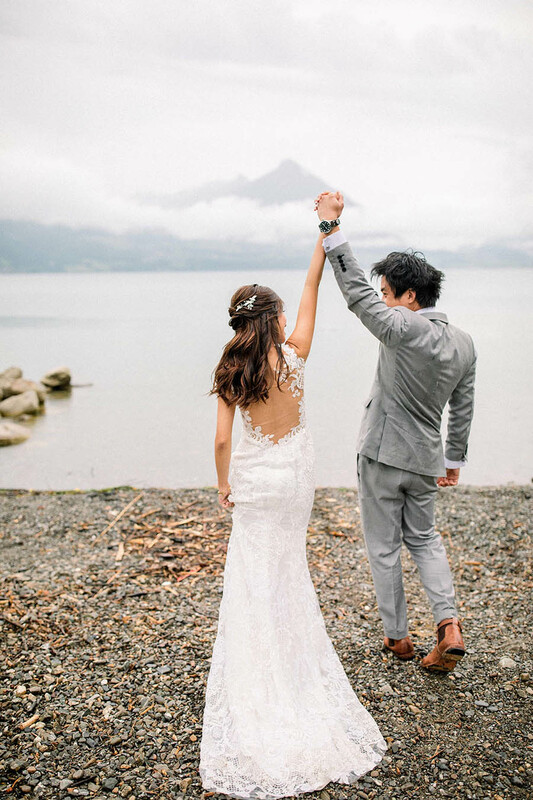 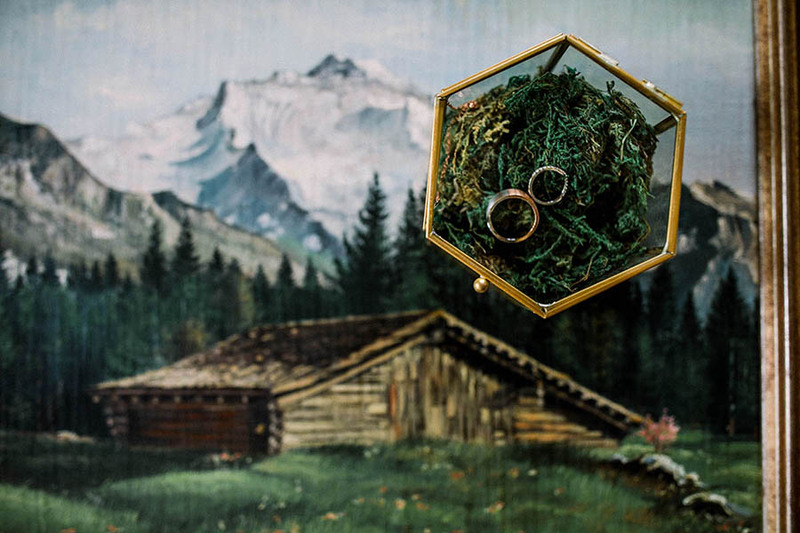 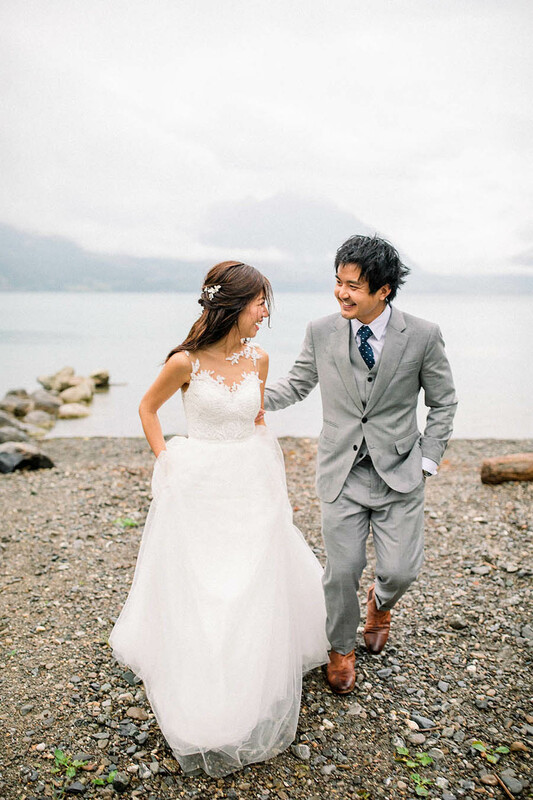 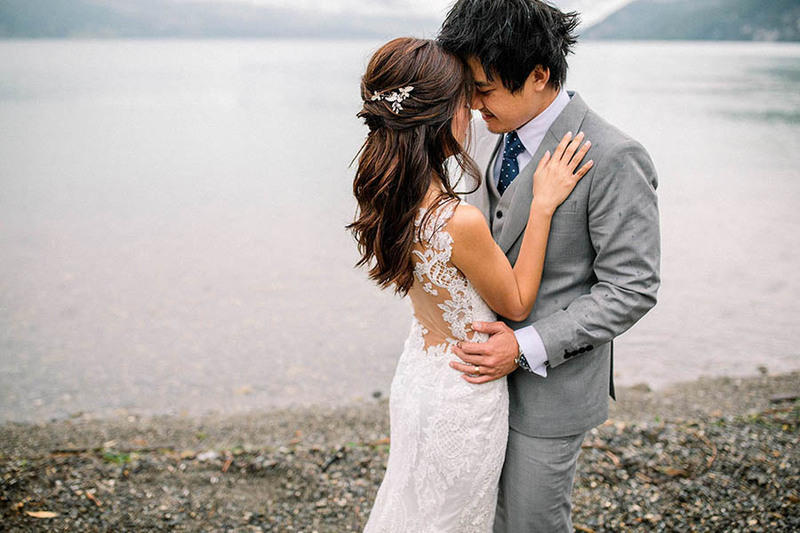 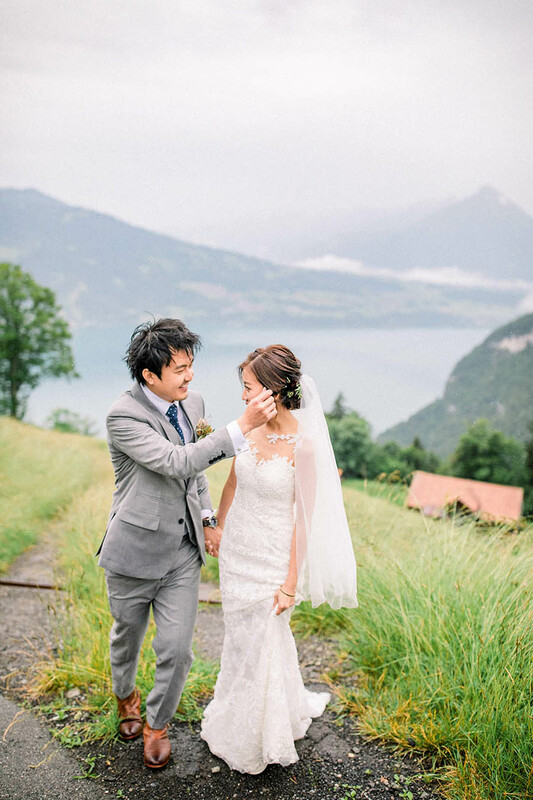 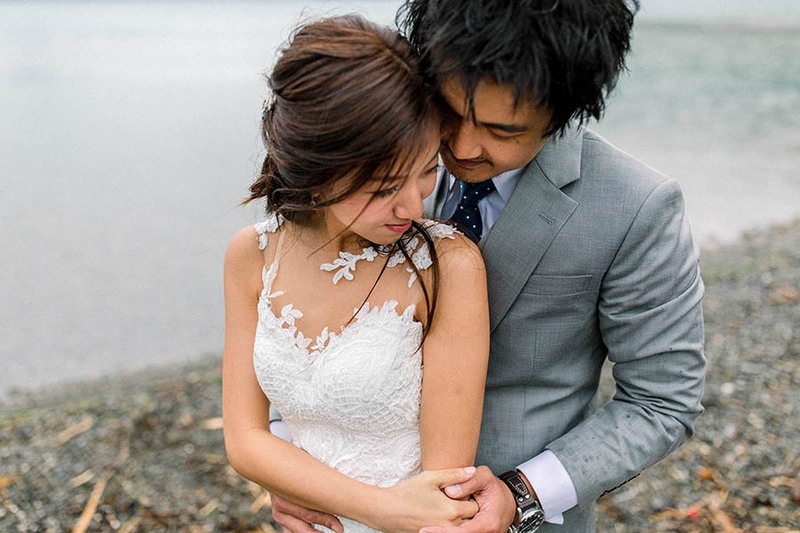 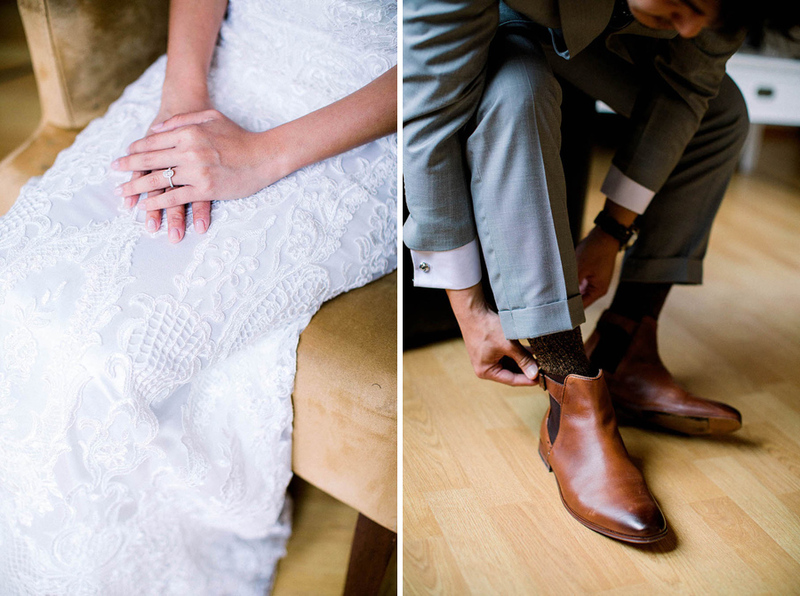 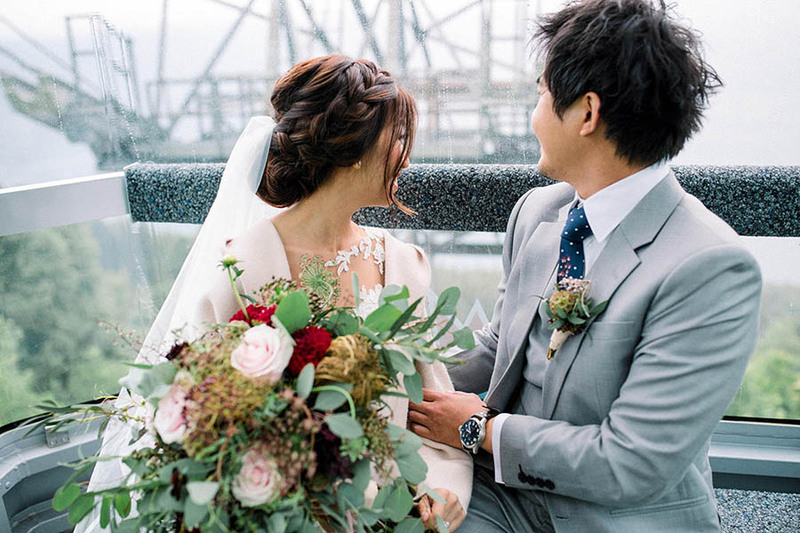 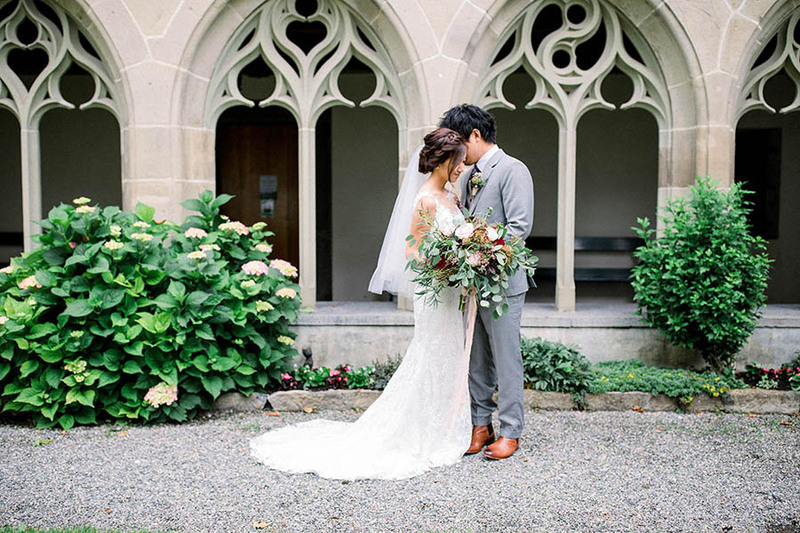 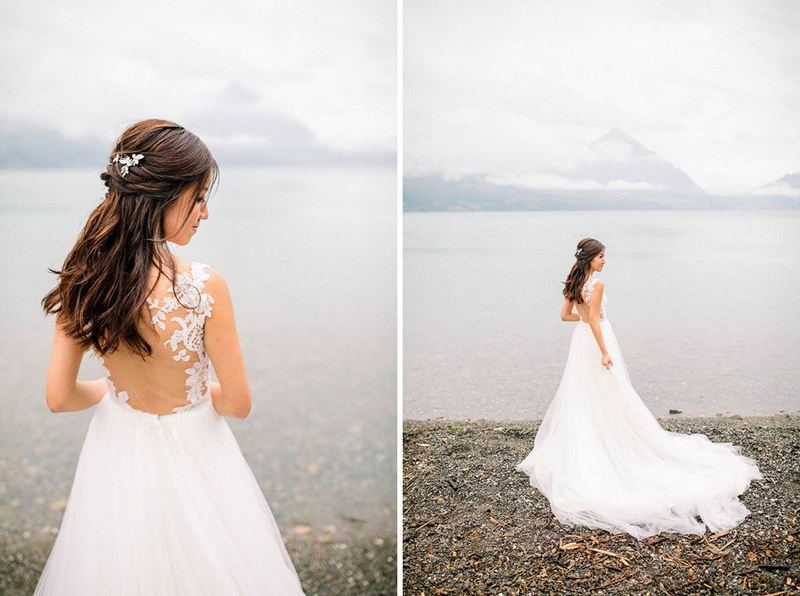 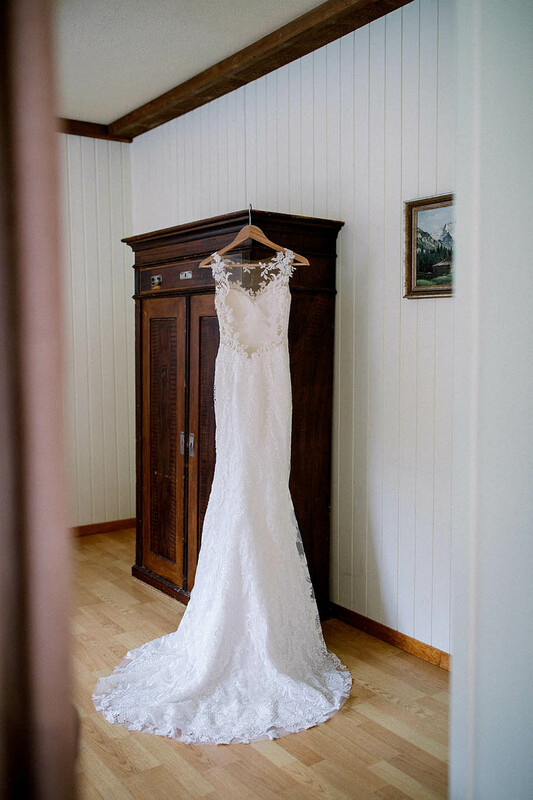 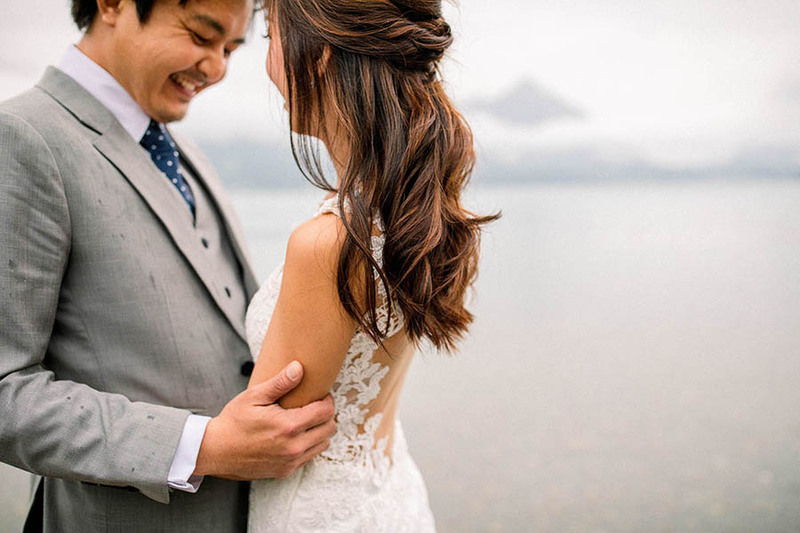 “We had a romantic and intimate wedding in Switzerland. 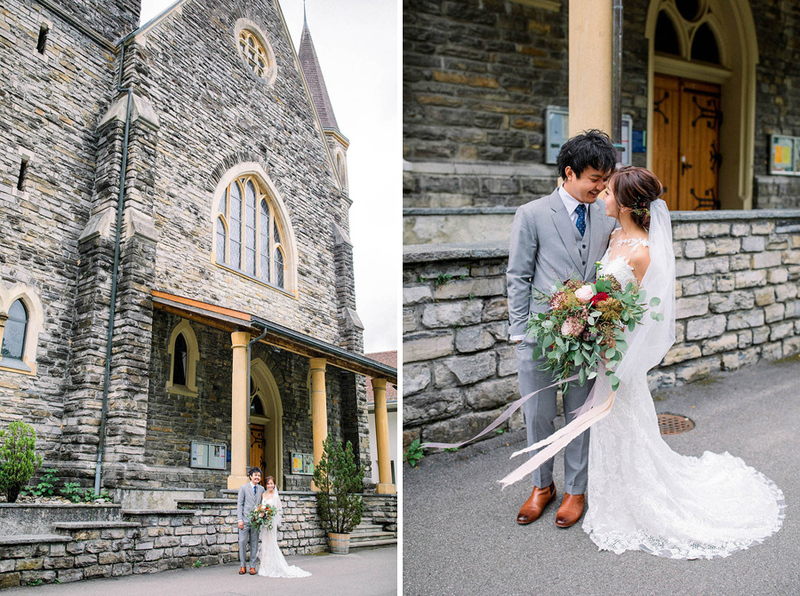 We had our civil marriage ceremony at Schloss, Interlaken, after which we headed to Niederhorn for our symbolic marriage ceremony, ministered by a local pastor in Holy Matrimony. 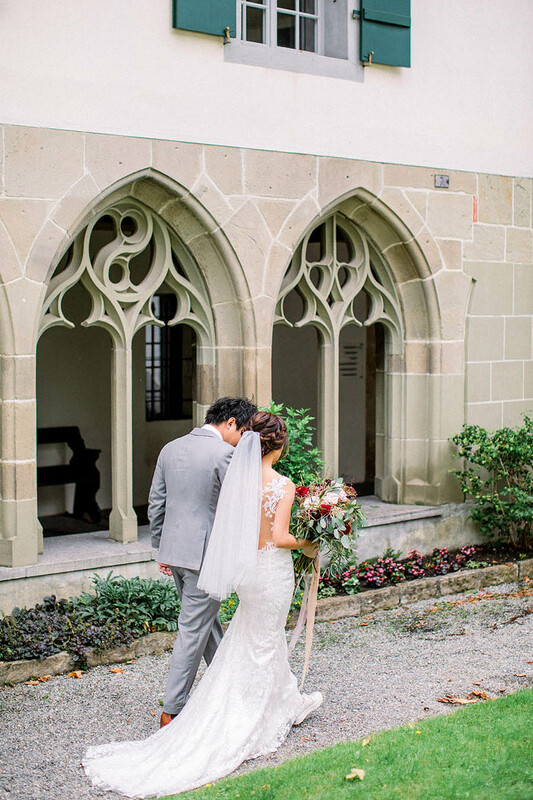 “It took some time for us to find our definitive location for our symbolic ceremony for Holy Matrimony. 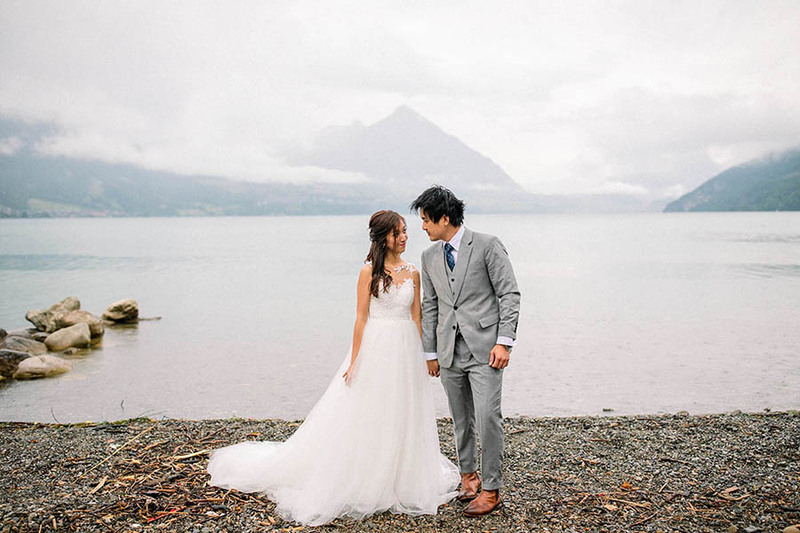 This was because we wanted to have our vows said amidst God’s wonderful creations. 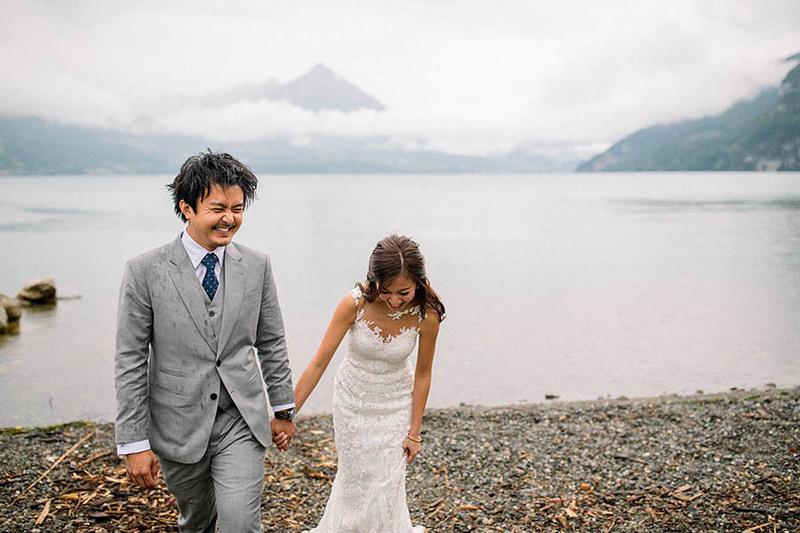 Therefore, we wanted a location that encompassed rivers, greenery, and mountains. 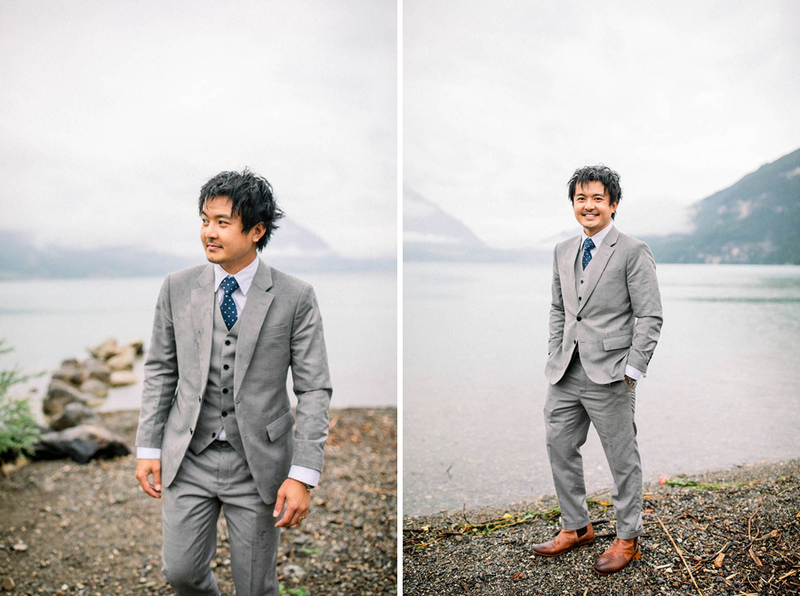 We explored many locations for both the ceremony and post-ceremony photo shoot. 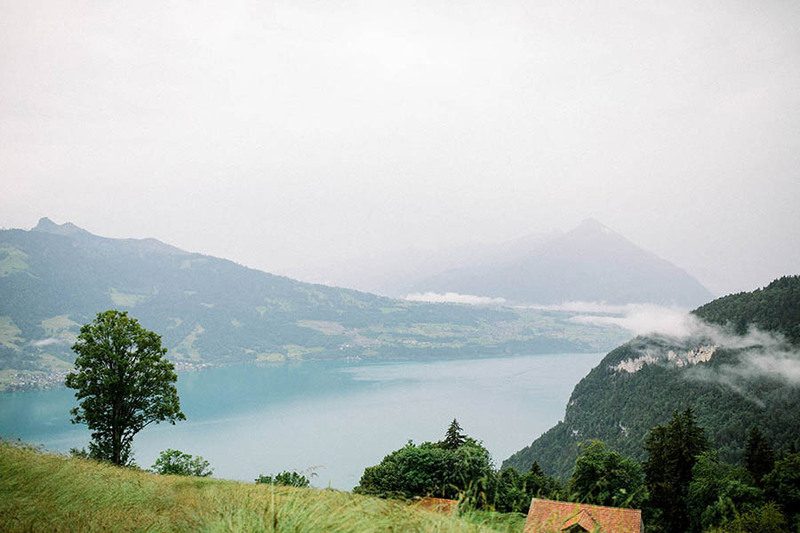 Some areas we explored include Zermatt, Schynige Platte, and Niederhorn. 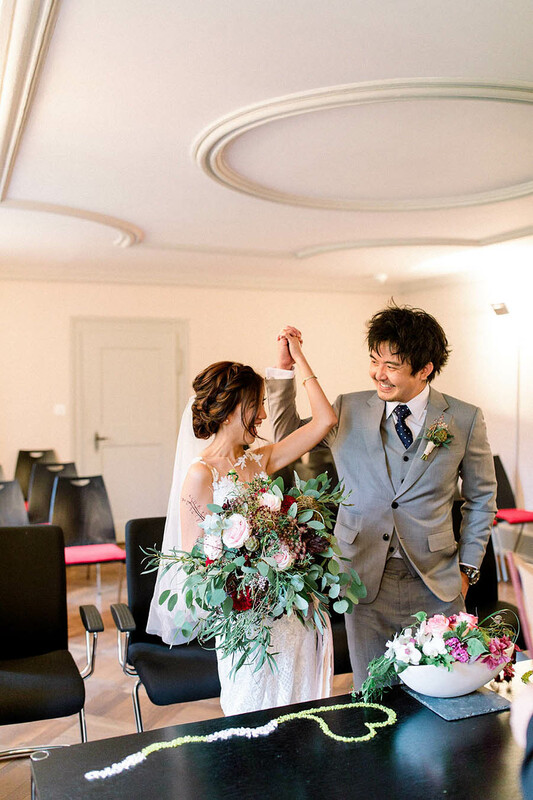 We also went through a good long process in researching how to get married officially in Switzerland. 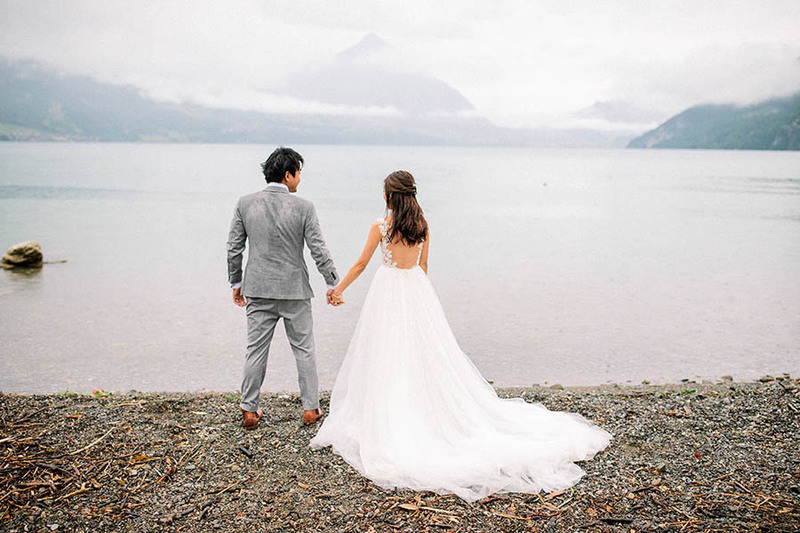 Documents such as birth extracts were required to be submitted to the Switzerland Embassy in Singapore in order to be officially married in Switzerland. 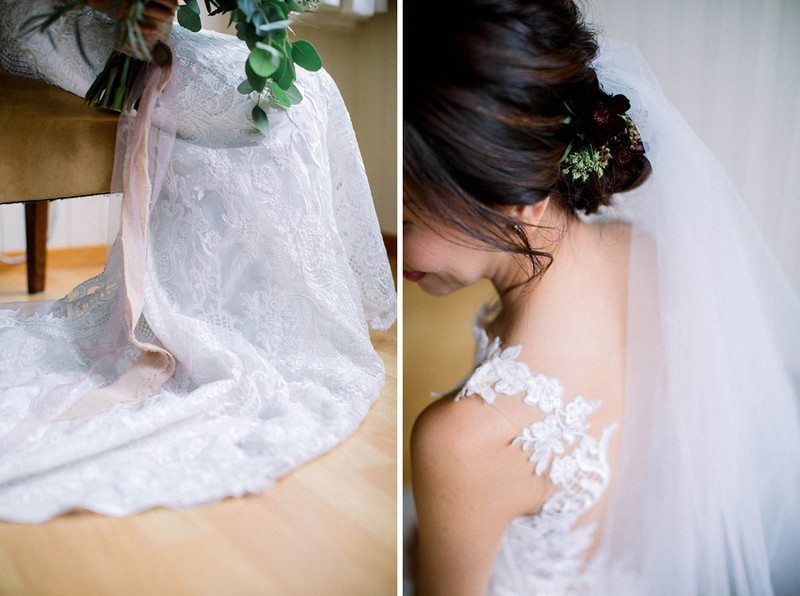 This process took up to five weeks to complete. 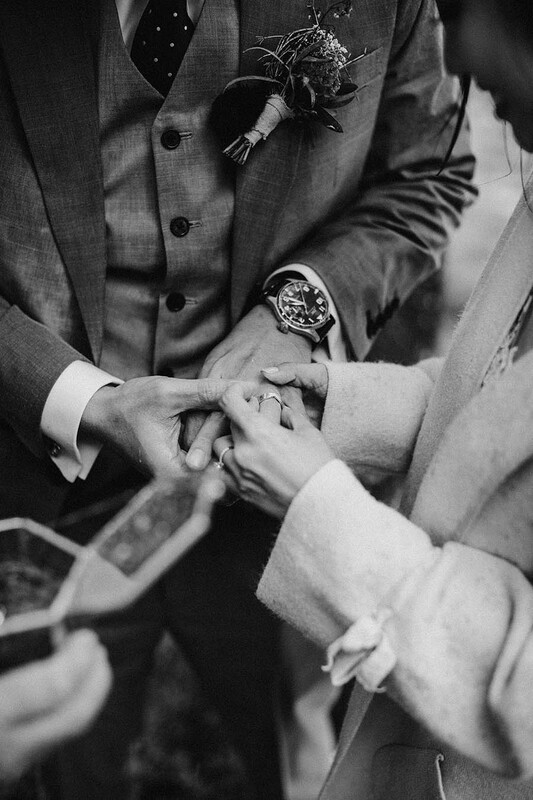 We had to get married no later than three months after obtaining the approval from the Marriage Registry. 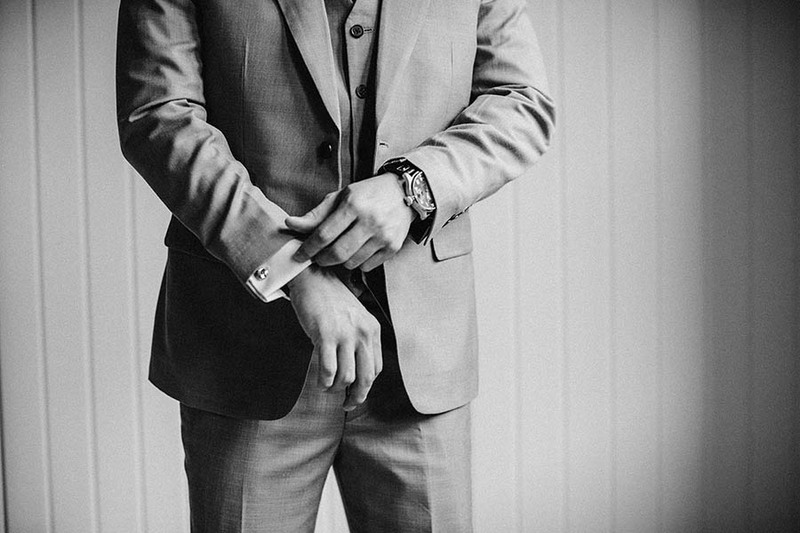 Besides the administrative process, another important aspect was finding a pastor from a similar denomination as our home church. 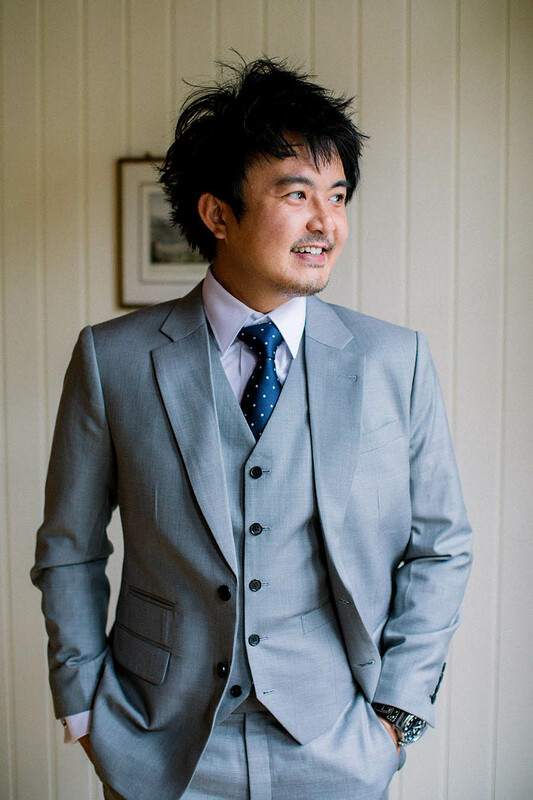 We asked for assistance from our local church, and searched for churches around the area with English services as we wanted the pastor to minister us to in English. 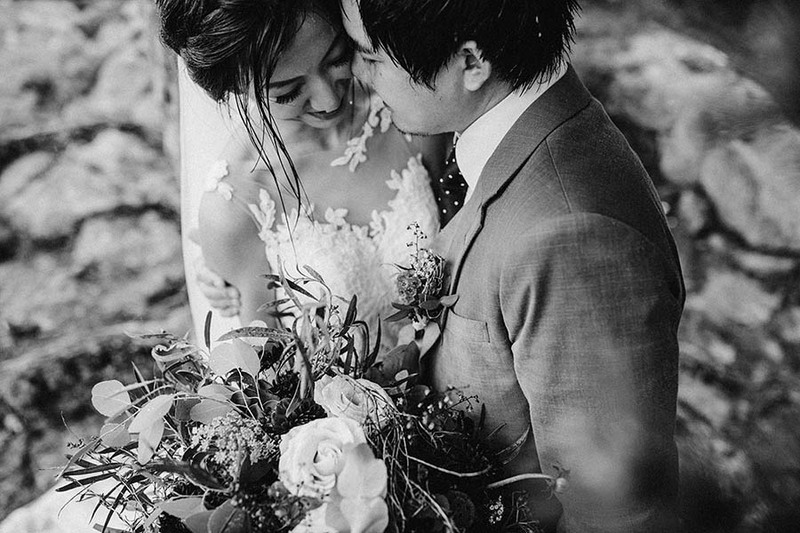 Being able to have found Pastor Peter Kun and his wife was indeed God-sent. 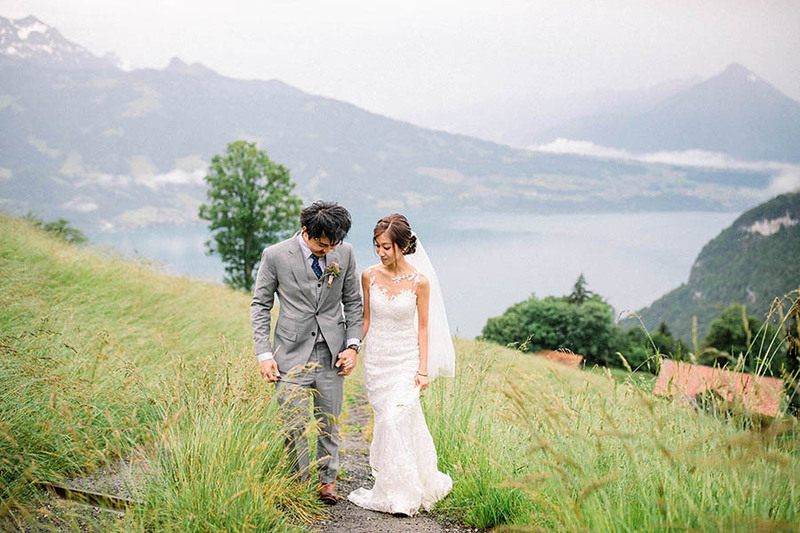 They even came to visit us at our accommodations in Grindelwald a day before our wedding to get to know us and pray for us. 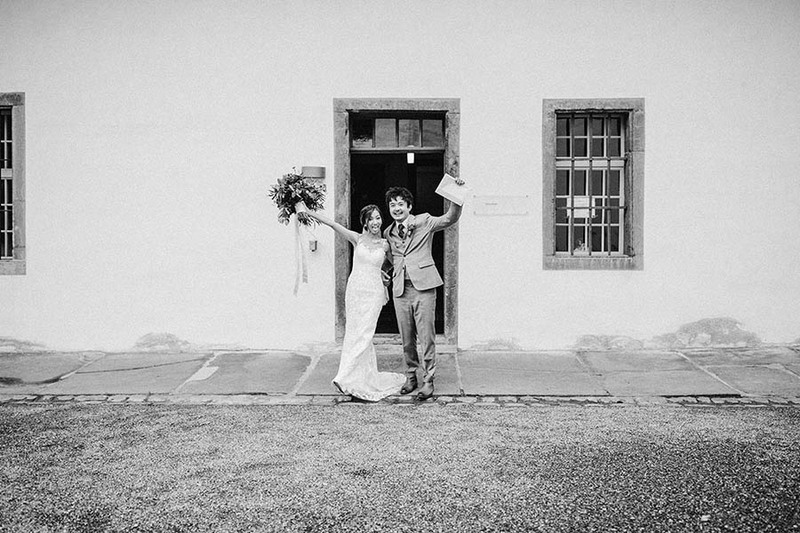 We felt really blessed to have found them to minister to us on our very special day. 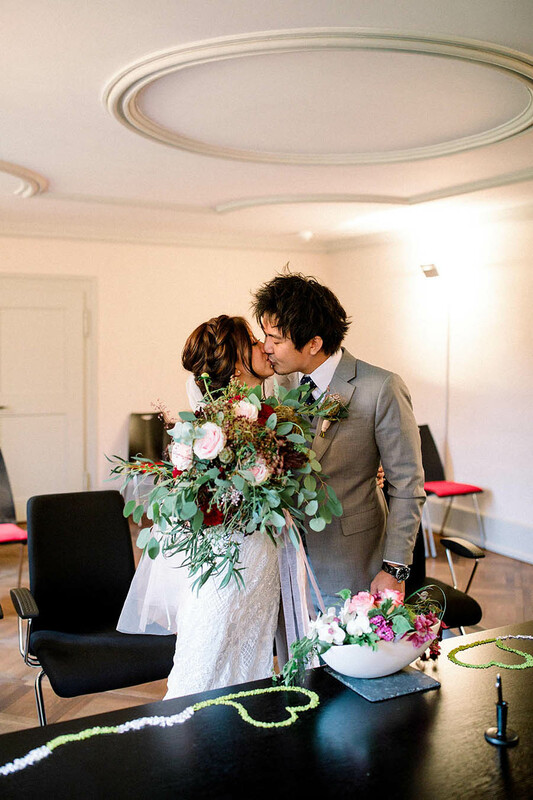 With the help of our wedding planner, we found David and Kathrin to photograph our entire wedding celebration. 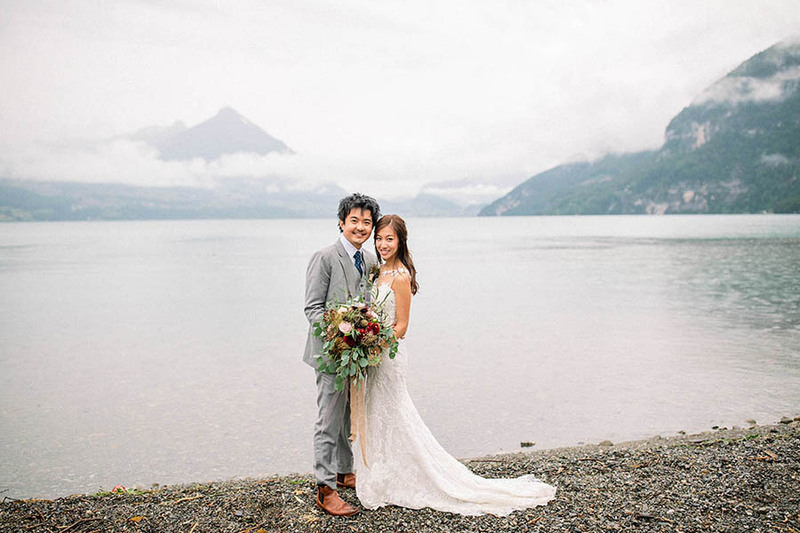 They were also helpful with advising us based on their knowledge of Switzerland and were very responsive, which made us feel very assured even before we met on the actual day. 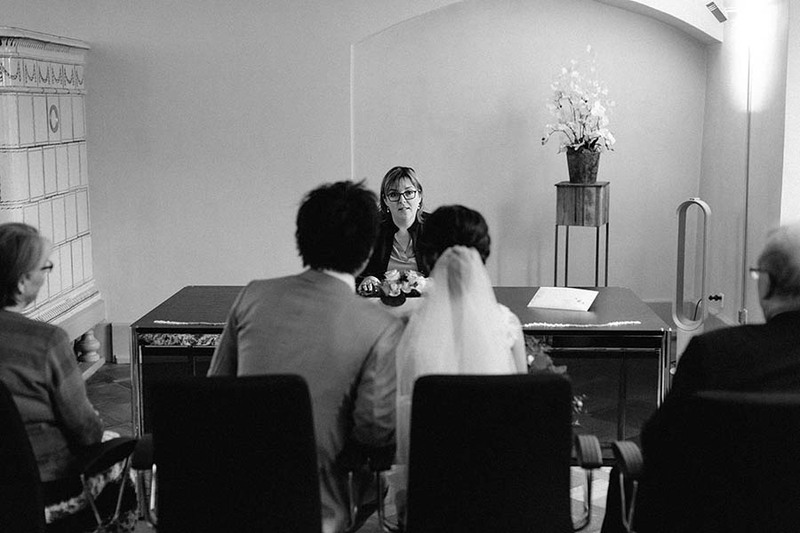 On the day itself, they were extremely accommodating, personal and unobtrusive, which made us feel very comfortable having them around. 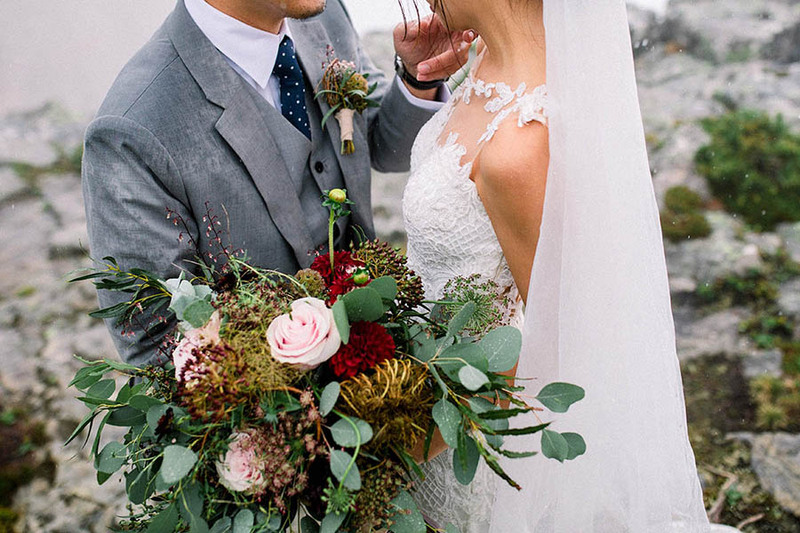 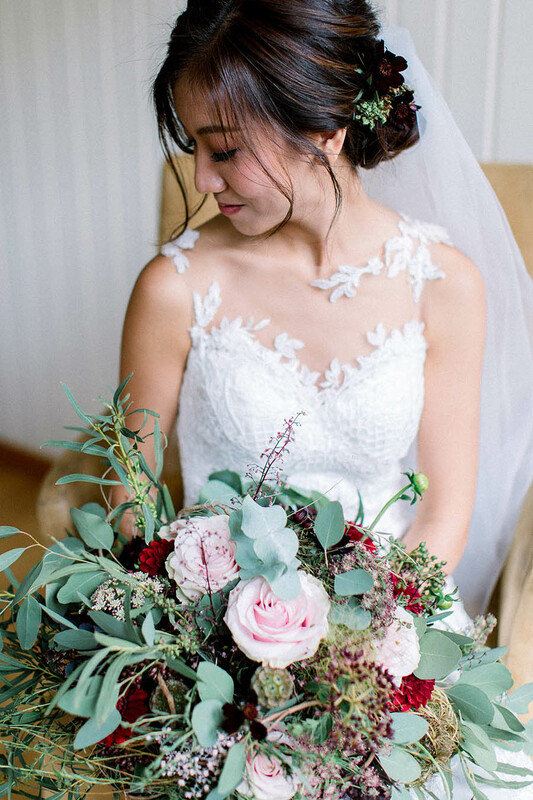 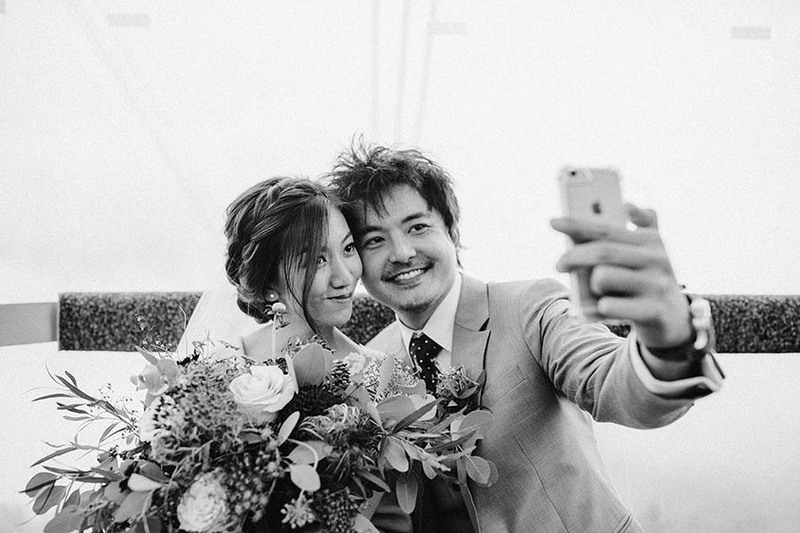 Our wedding planner also shared with us some profiles of a few florists via Instagram. 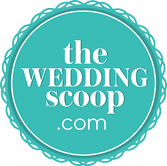 We contacted a few that were based in the region and asked for quotations. 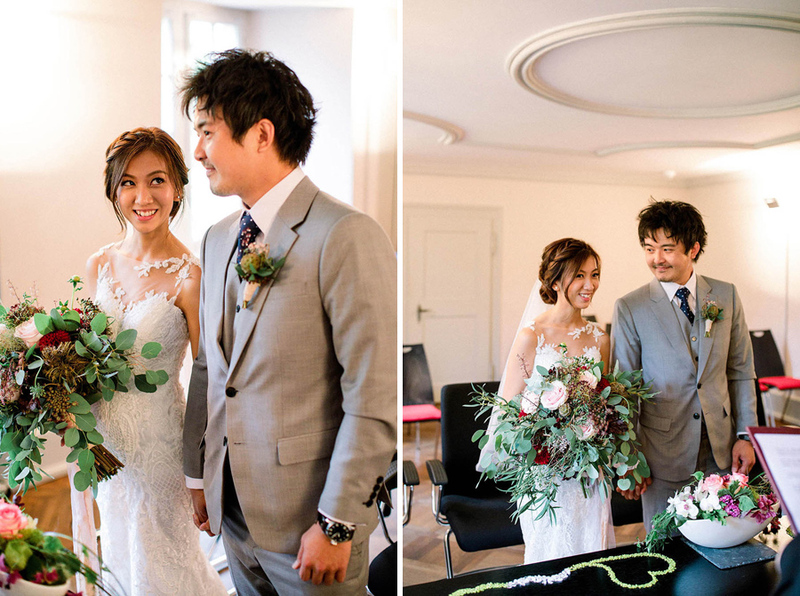 Eventually, we found Martina Pfister of Blütenglanz Gmbh for our bridal bouquet and boutonniere. 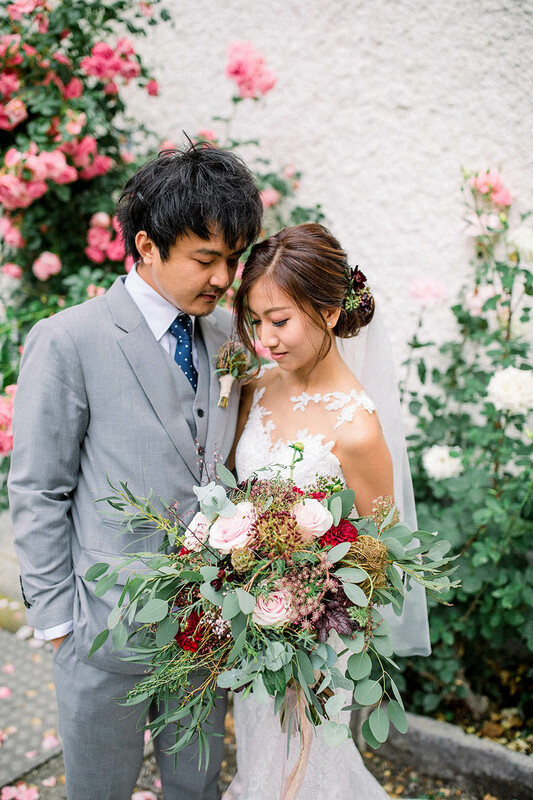 Our photographers were so helpful that they collected our flowers on our behalf. 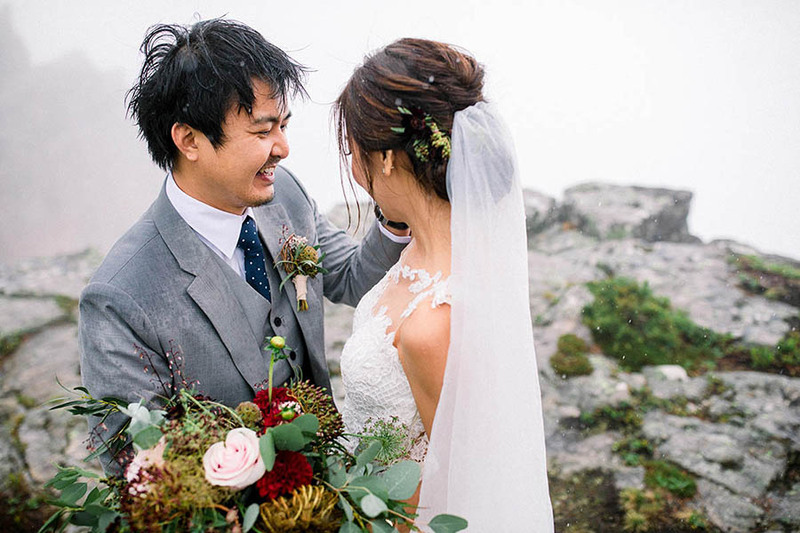 We would also like to thank Adeline, our make up-artist from Singapore, for braving the rain and cold with us, as well as helping us look good and holding our umbrella and flowers in between the ceremony and shoots. 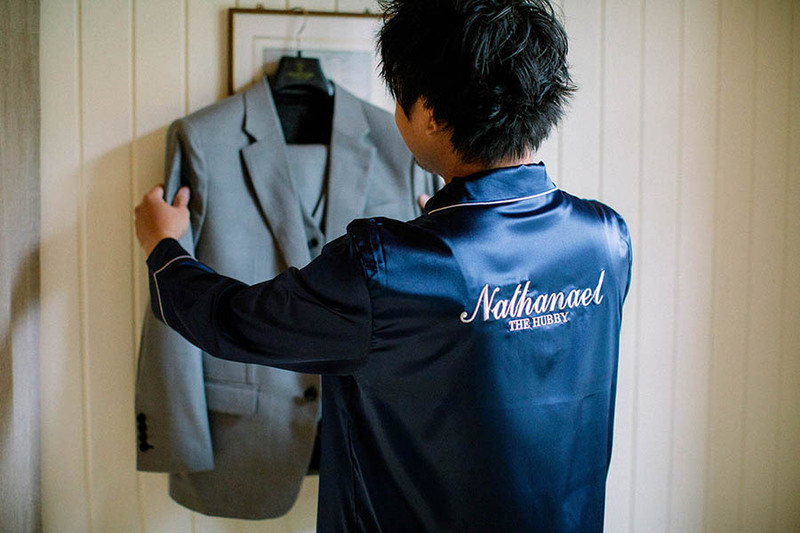 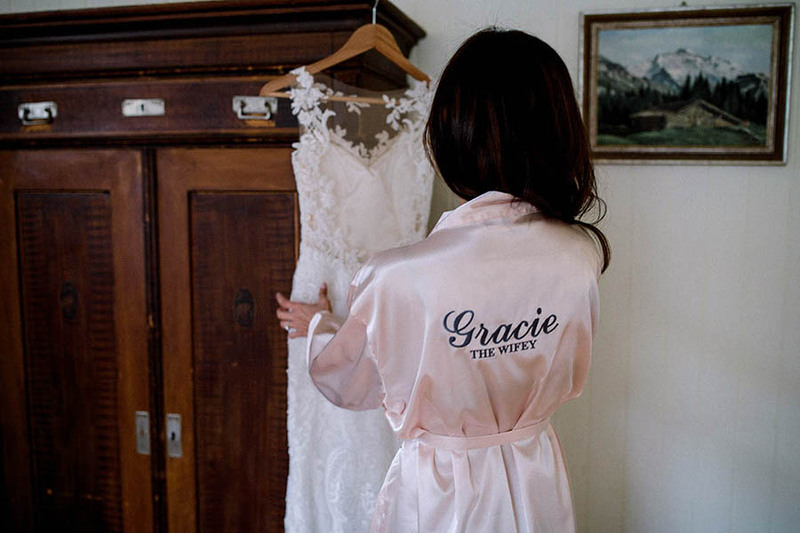 Congratulations on your marriage, Nathanael and Gracie! 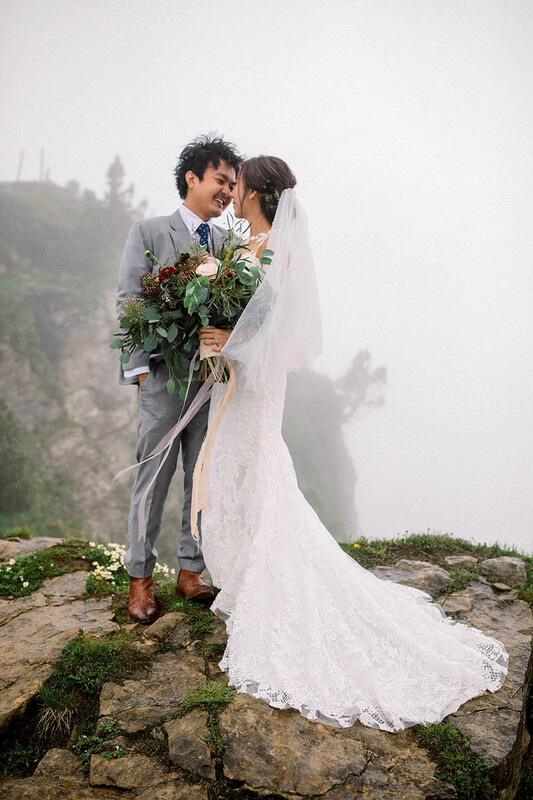 May it be every bit as beautiful as your wedding and elopement!